Devon Bray was working on an art installation project with Sara Dittrich. The requirement was to play 8 different sound files out of 8 different loudspeakers and to synchronise them all. 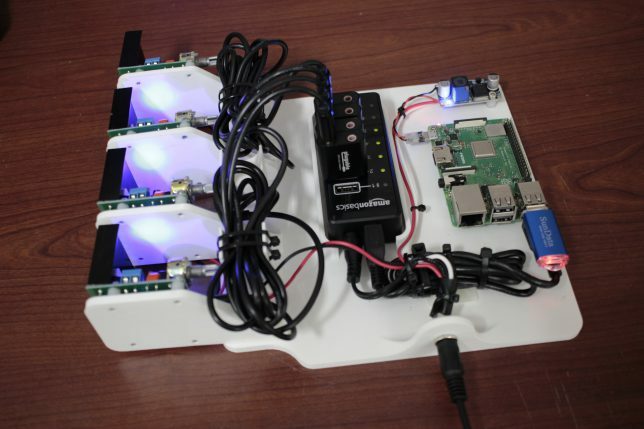 For this, Devon used a Raspberry Pi connected up to multiple amplifiers via a USB hub. He’s done a video walk-through of the project, which can be seen below, has blooged about it here and uploaded his code to Github here. 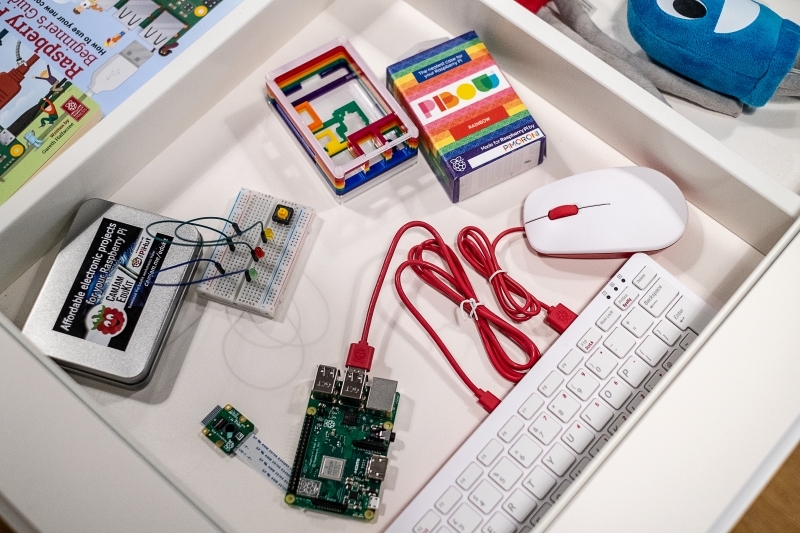 Raspberry Pi physical computing library GPIO Zero gets an upgrade to v1.5 – includes physical pin numbering! 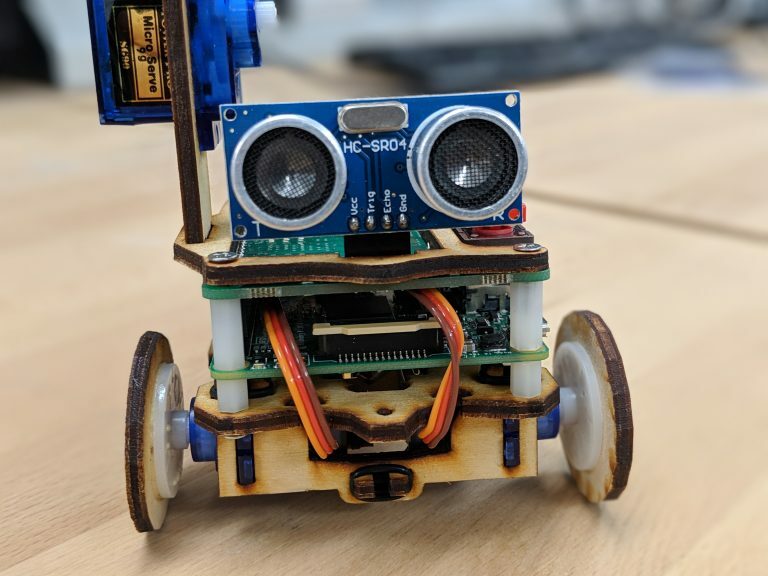 Ben Nuttall over at Raspberry Pi has announced the release of GPIO Zero 1.5. This is a significant release and includes several enhancements. Improvements to the DistanceSensor class giving more accurate and reliable readings. Improvements to the source/value functionality meaning you could just do: led.source = button to have a button activate an LED. Improvements to the pinout command so you can pass the -x or –xyz argument to show the pinout.xyz website in your browser. Support for more boards, including Jam HAT, PumpkinPi, PiHutXmasTree and TonalBuzzer classes. Support for physical pins. This is something several of us have championed for a while. It’s not perfect but it does solve the problem in terms of specifying pins for inputs and outputs. To use physical pin numbering, just use the BOARD prefix when defining pin usage. For example, instead of led = LED(17), you would do led = LED('BOARD11'). Note the quotes round the BOARD declaration – they’re important! There is also support for the WiringPi way of numbering – use the prefix WP. 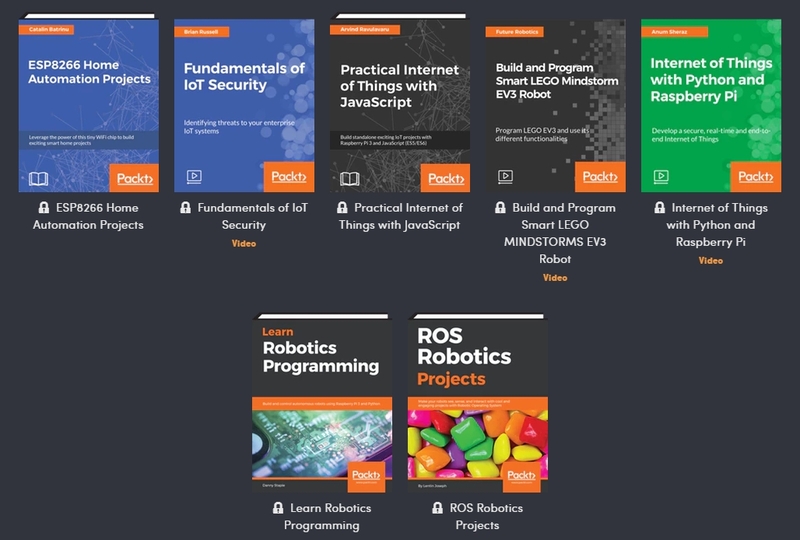 If you still haven’t started to use GPIO Zero and want to see what the differences are between RPi.GPIO and this newer, easier-to-use library, take a look here. Read the official announcement over at Raspberry Pi or delve into the ChangeLog to see all the enhancements. 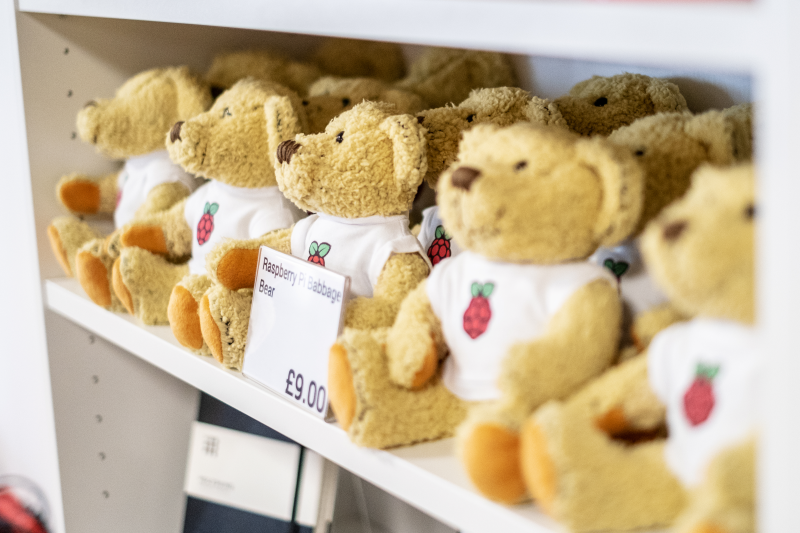 In a shock development, Raspberry Pi have today announced the opening of an official store in Cambridge. Based on the first floor of the Grand Arcade in the centre of town, all manner of official goodies and third-party products are available, including the venerable Babbage Bear, shown above. Myself and Tim Richardson are dead chuffed that they are stocking all three CamJam EduKits as well! You can see a bit more about the store on this page and see the official announcement here. See the inevitable opening trailer below and a BBC news report about it here. An enlightening interview with Eben Upton, CEO of Raspberry Pi Trading, can be found on TheNextWeb. 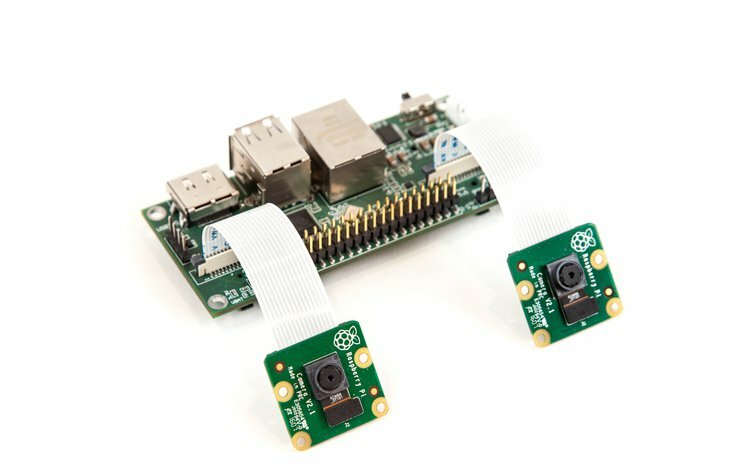 A team from St Petersburg have developed a brand new Raspberry Pi-powered board that enables you to use two Pi cameras at once. Called Stereo Pi, the board is a Compute Module carrier that takes any model of the Compute Module and breaks out two CSI interfaces into which you plug the cameras. The board is compatible with both the command line scripts (raspistill/raspivid) and also the picamera Python library. There are multiple versions, including the one pictured which breaks out the GPIO to a standard 40-pin header, allowing you to wire up buttons to activate the cameras etc. Pledges start from $69 (sorry, missed the Earlybird!) with free ground shipping (although for that one you don’t get the ‘taller components’ and you need to provide your own Compute Module while a full kit (which includes a CM3 Lite) will set you back $125. I think they’ve pitched the price of this one right – it’s something not everyone will want to do, so they’re not looking at massive quantities, but that’s a pretty good price for a CM carrier board with the ability to do two cameras in small package. Take a look at the Crowd Supply campaign here. You might have noticed a shortage of posts recently, and for this I apologise. I’ve been through a pretty rough time of late with mental health issues and between work, Sharnbrook Mill Theatre and Pi Wars, I’ve over-stretched myself. Today, however, I just wanted to point you at a new Kickstarter for the Picoh (pictured above), from the people who brought you OhBot (pictured at the bottom of this post). 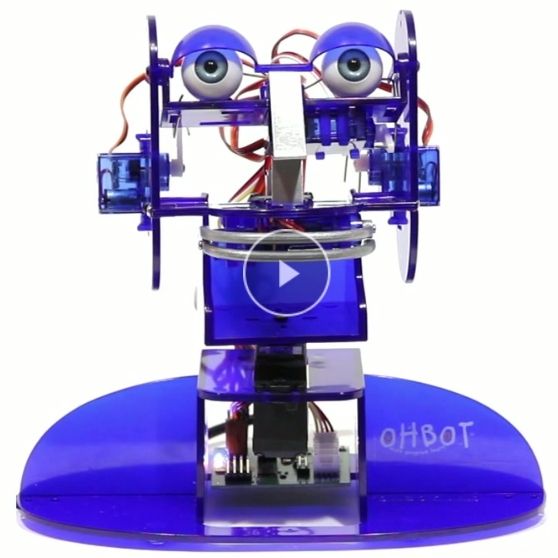 The Kickstarter is live now and features a lovely little robot that is controllable in a variety of different ways, including a Python library, usable on the Raspberry Pi as well as a Windows application that looks and feels a lot like Scratch and an in-browser plugin for Scratch 3. Super Earlybird pledges start at £77 for the Picoh before rising to £88 and then to £99.